When the chilly East wind blows in from the sea on your late autumn walk, the Mens Edmonton Coat from Jack Wolfskin will keep you warm. The windproof fabric combines a classic look with contemporary functionality. The windproof fabric has a wool-look exterior and a soft reverse side with a checked pattern. This gives it a little touch of traditional duffel coat style. The fabric is also very breathable, an attribute you'll appreciate when you're hurrying home through the autumn weather. 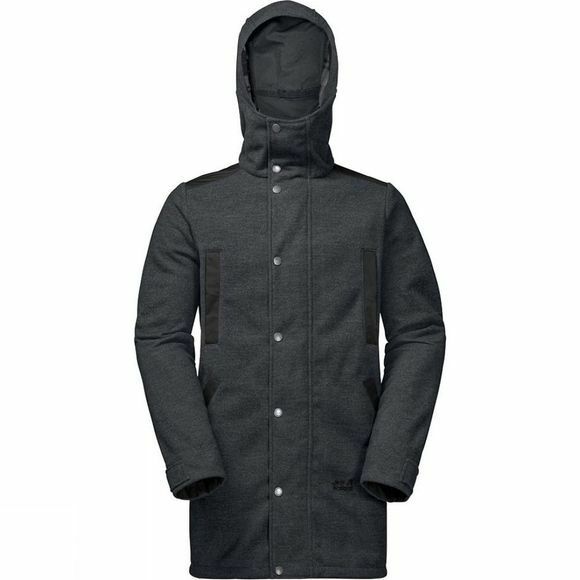 The shoulders of the coat are reinforced for added durability.